How to Survive the Holidays Stress Free! Happy Monday and happy December everyone! I hope you all enjoyed last months topics all about auto-immunity and the immune system in general. 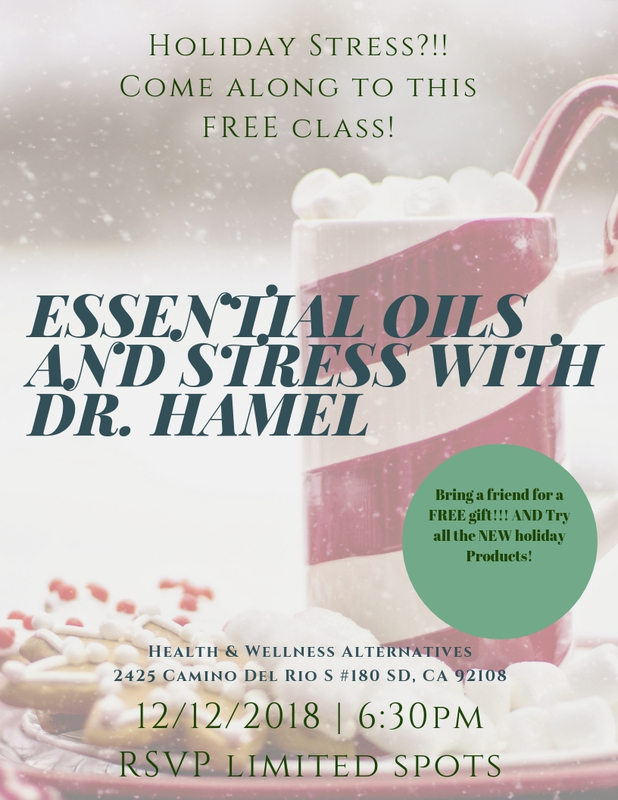 This month since it tis the season, we will going over various ways to help increase your body’s armor to keep the stress down. We know the holidays are a happy time where families and loved ones come together, but it can also be a time of increased stress, trying to get things done, finances, family drama, traveling, ect. We will also be prepping to do a start of the year 21 day cleanse to begin the year off on a great start! (More to come about that topic in next week’s post about nutrition and traveling). To start off the month, it’s important to prep the body for the holiday season. Knowing that there will be extra stress, making sure your nervous system is at its best is key #1. For a start, it has been shown in research that chiropractic adjustments boost the immune system. What happens with increased stress? Your immune system goes down. That’s why college students always experience getting sick after finals or on their breaks. Once the adrenaline wears off, the effects kick in. January is also the month of resolutions and goals (hopefully you have goals all year:)), but regardless, maybe a certain goal is saying: you’d like to workout more or eat better, you have to make sure your body can handle it. Just like how you would prep your notes for a presentation, or making a meal plan. You need some sort of preparation for the body. The prep phase so to speak. In order to prep, you need to make sure your pain levels are down, and your brain and nervous system are communicating with one another. When you do this, it makes less stress on the body, so that when those periods of increased stress come, your body can handle it and not go completely off course. Cranial work in general is an amazing tool we have to help with the stress response. In research done specifically using cranial work for anxiety, depression and sleep, a study in 2011 testing over 100 patients, found that using cranial based osteopathy (which i do) showed improvements in anxiety, increase in physical function, significant improvement in sleep function. This is great! A main reason in this study was improving sleep, and overall physical function. When you are able to move pain free, and sleep (deep and rested), your body can heal and isn’t burdened by the littlest of things that come it’s way. Which brings me to this point. If you are in chronic pain, or aren’t sleeping, or you are already stressed, it is literally like typing into the computer all the keys at the same time. Your brain can’t handle it. Any little disruption, even a little stress can throw you off at that point. So our goal with the cranial care is to create that optimal environment for the brain, to stimulate the parasympathetic nervous system, and make sure the network of nerves are effectively communicating. It’s also important to note that stress isn’t always in your HEAD, but in your NERVOUS system. Have you ever been told when you’re stressed to stop and just relax? That it’s all in your head? It would be nice if it were that simple. But it’s not. “Physiology research shows that the stress response memory lives in your nervous system. Take for example exposure to a stressful event. One in which you felt helpless, hopeless, and lacked control. In this case your autonomic nervous system (ANS) is engaged. This is the part of the nervous system responsible for controlling unconscious bodily actions like breathing. To be more specific, it was the sympathetic branch (fight or flight) of the ANS that kicked in while you were strained. In addition, the hypothalamic-pituitary-adrenal axis of the midbrain began firing. In which a signal from your hypothalamus sends a hormonal message to your pituitary gland that stimulates to your adrenal glands. This biological response is clearly beyond the ability to rationally control. You can’t think your way out of it. Chronic stress leads to dissociation or immobility, a state of sympathetic charge and hormonal release, which is health damaging. The brainstem (the primitive part of the brain) governs emotional experience and biological response. When the brainstem is activated by fight or flight, it trumps the more developed front of the brain, the prefrontal cortex. It is therefore not possible to be in the primitive state of fight or flight and also to think rationally and critically (as the prefrontal cortex would have us do). The work is then to re-train the body. These are tools to deactivate the sympathetic response and activate the opposing parasympathetic response, called the rest and digest mechanism. The goal is to feel safe. To regulate breathing, slow the heartbeat, and circulate blood back to the vital organs. Re-training the body through calming certain nerves down or reflexes or while stimulating others like the parasympathetic nerves in the brain is key here. We need to clear the stress out of the nervous system first!! This will prep the body to be able to handle things that come up! Next week we will talk about food stress, if you’re traveling in the winter and exercise to keep you on track. Also, if you have any FLEX or HSA spending you need to use before the end of the year Dr. Hamel accepts it as form of payment! Let’s get the prep phase started so you can really enjoy this holiday season and not feel like you need to revamp your whole life in January. If you’ve been holding your palms on your temples all too often, you might be coming up short on certain nutrients. Research suggests that folic acid deficiency can suppress the production of S-adenosylmethionine, a naturally occurring compound that helps produce serotonin and dopamine. Compounded with the fact that when you’re chronically stressed, your brain begins to produce excess stress hormones like adrenaline and cortisol, and fewer neurotransmitters associated with relaxation and happiness, like dopamine and serotonin, you’ve got a problem. Luckily, scientists believe that improving folic acid status can help reinstate happy hormone levels. 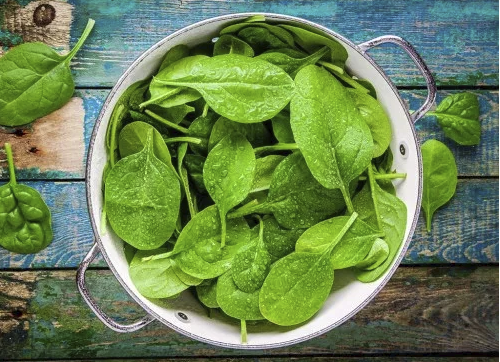 To reap the benefits, whip up a three-cup spinach salad and you’ll reach nearly half of the daily recommended intake of folate for both men and women. For more sources of folate, try beans, chickpeas, lentils, asparagus, avocado, or broccoli. Even if you have the MTHFR gene, getting FOLATE from your food is the best way!! Folic acid supplementation is the synthetic form and can be toxic if you have any of those mutations.